Nobody does ‘80s nostalgia better than Stranger Things, and the brand-new teaser for Season 3 is no exception. 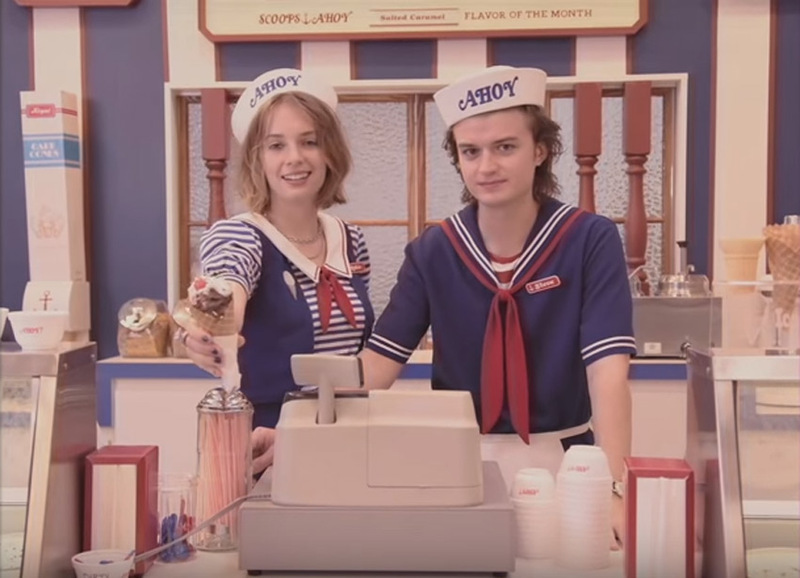 Featuring an advertisement for the new Starcourt Mall—with as many star wipes as you can handle—we also get to see an awkward Steve Harrington (Joe Keery) working at the Scoops Ahoy Ice Cream Shop alongside newcomer Robin (Maya Hawke). Could there be something nefarious afoot at the new supermall? Was it built on top of an ancient burial ground or constructed to hide something dangerous? Or do we have a Dawn of the Dead-type situation on our hands? I guess you’ll have to wait and see when Stranger Things 3 comes out next summer!